Tomatoes, the reddest of all our summer fruit and the favorite staple of most are soon to be just straggly vines in our vegetable gardens. Both edible and beautiful in the same moment, tomatoes are the summer keepers. Even though the season is almost wrapped up, it is never too late to share some valuable tips on how to grow outstanding tomatoes. First, pick your variety. If you want a fail-safe, bomb-proof tomato, the best choices are Supersonic, Super Fantastic, Big Boy, Better Boy to name a few. These varieties offer consistent fruit, are thick-skinned, tough to mess up and great for slicers. There are a number of other varieties to try if you are looking to stretch the tomato palette. Heirloom varieties are always a good choice but are more susceptible to diseases. 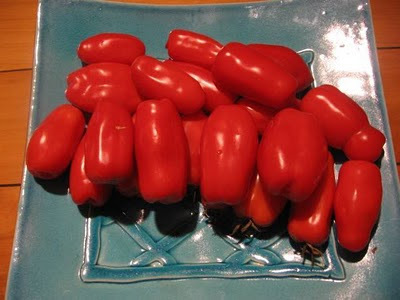 If you are looking for great cooking tomatoes to use in sauces or for canning, Roma tomatoes are satisfactory but the San Marzano varieties offer thicker flesh and phenomenal flavor. So grab your plant journals and make your seed lists for next year’s garden. Mark down some of the unusual varieties that may be tougher to grow but produce the true summer jewels. Are you Ahead in the Game?